And Urbanna, VA (population 476) was named (in 1705) after England’s Queen Anne! I did not see that coming! What does "short a" mean here? [æ]? Do people say [kɑlr̩æɾow]? This reminded me of the Nickelodeon series Avatar, which is always pronounced [ævətɑr] on the show. Every time I say [ɑvətɑr], my daughter gets upset. Now, looking it up, online dictionaries mainly show the computing definition and they agree with my daughter, to my chagrin. My 9th-grade English teacher, a Kansas native, told a student who put an [ɑ] in "Nevada" not to be "an illiterate Easterner". That reminds me of the way people from outside the area inevitably mispronounce Lancaster, PA.
urban + Anne = Urbana. It kind of makes sense. my great grandfather was a blacksmith in Urbana Ohio. The funny thing is that Trebek is Canadian, and Canadians are generally known for doing the opposite of this – using /æ/ in words that take /ɑ/ in the US, like pasta and drama. The band Nirvana was named after Vanna White. It's true! "That reminds me of the way people from outside the area inevitably mispronounce Lancaster, PA."
Being from a place does not give one authority over how to pronounce its name. When Americans say "Rome" instead of "Roma," we are not mispronouncing the name of the city, we are just saying it the way our speech community says it. But there is no speech community consisting of "people not from Lancaster, PA" as opposed to "English speakers" in the case of Rome. In this case the only relevant fact is what residents call it. What grounds would you have for asserting that any other pronunciation is the correct one? Rod J.: well, for example, it's probably the case that most natives of Charleston, S.C. are non-rhotic and pronounce the city's name accordingly, whereas I am rhotic and pronounce it accordingly. Neither of us is wrong. "In this case the only relevant fact is what residents call it." Wisconsites tend to pronounce their state "Wisgahns'n." Oregonians say "AR-ih-g'n." I don't think the rest of us are pronouncing those states' names incorrectly. In fact, saying AR-Ih-g'n where I live (in Maryland) would be as annoying as those NPR reporters who insist on saying "Nih-ha-RAH-wa." And when Coloradans start saying "Murrihlind" and not "Mairyland," I'll think about giving up Colorahdo. Part of the problem is that “how the natives pronounce the name” may not map cleanly to “how other English-speakers should pronounce it”, due to vowel mergers (and other similar phenomena). To an Oregonian with the father-bother merger, the first vowel of Oregon is the same as the first vowels of both father and bother. As a Brit (or East-coaster) without that merger, how should I pronounce it? No single vowel in my idiolect corresponds to that vowel in the Oregonian’s. Similar to Urbanna (I think a blend of Latin urbs, not English urban, plus Anna) are the Virginia place names Fluvanna. (county), from the Fluvanna River, from (I imagine) French fleuve plus Anna; and the Rivanna River. The early Virginians seem to have liked blends. @Peter: Actually that's not the case – Oregon, like most of the US, has the Tory-torrent merger, so an Oregonian would likely say "ore-egon", not "ahr-egon" (which would stand out as an Easternism). But I do agree with your general point about vowel mapping. @Lazar: It is my (anecdotal) experience that it is not "most of the US" that has the Tory-torrent merger, rather it is the West Coast and the upper midwest (and also a lot of Canada–but I'm unsure of the parameters up there). Whenever I hear someone pronounce "foreign" as "4'eign", or "majority" as "muh-JORE-ity", I immediately assume the person to be from the West Coast or upper midwest–and, thus far, I am usually correct. And if you go across the ocean, you get into endless trouble with Leicester, Grosvenor, Islington, Beaulieu, Edinborough etc. @David: I'm sure the extent of the merger can vary depending on the word, but this survey question, for example, shows at least 73% of the country using a TT-merged pronunciation for Florida. 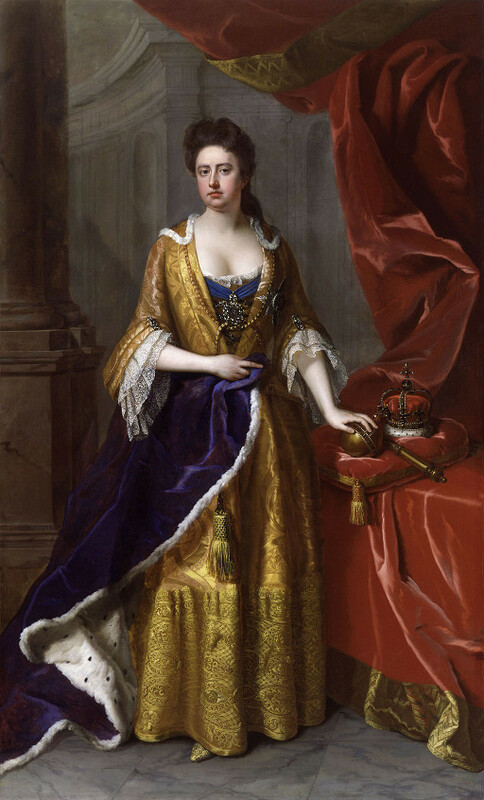 Goodness, I lived in Champaign-Urbana for seven years without knowing about any connection with Queen Anne. Don't Wisconsinites say "Wi-SCON-sin" with an unaspirated /k/, which sounds like a /g/ to those of us who are expecting aspiration? I'm also from Oregon, and while I agree with Brett about Oregonians' complaints about the final syllable, I disagree about their complaints about the initial syllable. In my experience, Oregonians most certainly do insist that the first syllable be pronounced a certain way (like "ore"). I worked in a call center once and had a customer from Colorado. I asked him how to pronounce it, and he said both were fine. I was both surprised, because you'd be very unlikely to hear someone from Oregon say that, and curious whether he'd live there a long time. I think locals do have legitimate complaints when people from other areas pronounce their town/state "incorrectly." If someone pronounces your name differently from how you do (and it's not due to accent), you're going to correct them. To me, it works the same for place names. But then again, I've known people who don't mind when people say their names wrong. Alexander Spotswood, colonial Governor of Virginia under Queen Anne, didn't stop with the town. He also liked naming rivers after the Queen, and we have the North Anna, the South Anna, the Rivanna, the Fluvanna, and the Rapidan (Rapid Ann). He also named Spotsylvania County by Latinizing his own name. @Lazar: Good point, thanks; it sure does depend on the word — again from my anecdotal experience. (I've long been obsessed with the Tory-torrent merger — it's a native-Missourian dialect thing.) Examples: the words chorus, forum, and historic(al) are TT-merged for all the contemporary Americans I've ever heard. (Saw an old movie where Kate Hepburn pronounced 'historical' in a non-TT-merged fashion.) Anyway, thanks for the link, now let me go read it! Rod Johnson – I believe it's more like [kɑlr̩æɾə], but yes, that's the right penultimate vowel. 1. The Tory-torrent merger (and note that where it exists in the US it is incomplete; only Canadians have it in "sorry," "tomorrow," etc.) is one that few Americans are conscious of. I think the reason Oregonians harp on the nonnative pronunciation of the last syllable but not the first is that they're used to subconsciously correcting different realizations of that vowel. Geographically, this merger involves almost all of the country, but the area it leaves out is very densely populated. 2. I've known Coloradans who use one pronunciations and others who use the other. They seem not to care about it, though individuals tend to use one or the other consistently. This seems a bit like the two pronunciations of Missouri, except there's a clearer geographic pattern to the distribution of those pronunciations. I wonder if some people's aggressive insistence on the short a in Colorado and Nevada is that the ah pronunciation is too Spanish-sounding. I have a strong bias toward the continental AH in Colorado/Nevada (to match words like Granada/Colada, etc.) but I think I would have unconsciously gone for a short æ in Urbana (if I had ever said it before today) just because it doesn't feel like a Spanish word from the outset. Of course, I say "pecan" with the AH and stress on the final syllable, too, which marks me as an anomaly in the South where I grew up (the locals prefer 'pi kæn). And oddly I do use the "local" pronunciation for New Orleans ("N'awlins") even though I was born in Atlanta. My favorite "what's its real name" in geography is the Arkansas River, which rhymes with Kansas in Kansas and Arkansas in Arkansas. @Tim: Looking not at pronunciation but at spelling, there's also that river – and its eponymous mountain range – which is spelled Allegany, Alleghany or Allegheny depending on what state you're in. I am a second language Spanish speaker. I live in San José, CA. If I am speaking Spanish when I mention the city, it is "San-ho-záy", (the city with an accent). But if I am speaking English, it comes out as "sánna-zay". And how does one pronounce "Louisville" in Ky? As a native Floridian, I have two Floridas. If asked the name of the state, I would say 'flo-rɪ-da. If saying it in noun-noun phrase (like Florida Gators, Florida State, Tampa, Florida, etc. ), in an informal context, I would likely say 'flɑr-da. As another native Floridian I always have the first syllable as flo and usually say 'florɾə (that is as if it were written Florda) with the restoration of the i (as something between ɪ and ə) only in extra careful speech. "Louisville" in Kentucky rhymes nearly, sometimes perfectly, with "approval." I thought we were named after Pope Urban. As a native Brit, I've found it interesting that some people have mentioned the long 'ah' vowel as sounding more Spanish. Spanish As seem to become long in American English, but are almost always short in British English (taco – /'tæ.kǝʊ/, etc.). I find the vowel as spoken by a Spanish speaker to be somewhere halfway between my long and short As. Incidentally, I'd definitely pronounce all of the above geographical examples (Urbana, Colorado…) with a long 'ah' sound (/aː/) , and would find it difficult to put a short æ in this position. This lifelong resident of the Northeastern USA has /ɑ/ in Colorado and Nevada (despite the strictures of the abovementioned English teacher) and /æ/ in Urbana. /ɑ/ i the latter seems odd to me. Note that the vowel in the penultimate syllable of "Urbana" makes the word rhyme in AmEng with a number of other words ending -ana, such as banana, bandana, Tarzana (in California), Rosanna (and, indeed, the underlying "Anna"). The only word ending -ana I can think of w/o consulting reference sources that has the PALM vowel is "manana" where it makes a lot of semantic sense to have the more "Spanish-sounding" vowel. The comparative paucity of other words ending -ado (except for the semantically Spanish-associated "desperado"?) or -ada (except for the semantically Spanish-associated "nada"?) means there's less of a pattern to follow, and/or a pattern pointing the other direction. Hugh B. 's point extends to Br v Am differences in words from non-Spanish foreign sources. I hate to stumble into Godwin's Law, but I have been struck by BrEng speakers pronouncing the a in "Nazi" with the TRAP vowel when in AmEng it's standardly the PALM vowel, which is closer to the German. Oh, and as we native Missourians often pronounce my mother's (and Rush Limbaugh's) hometown of Cape Girardeau: "Cape Girada". While we're at it, I was struck the other day while listening to BBC 3 by the fact that the announcer introducing Wagner's Tristan und Isolde consistently pronounced the name of the male title character with a schwa in the second syllable. "Cabana" doesn't rhyme with "piranha" etc for me (and I don't think I'm unusual among AmEng speakers in that regard and wiktionary seems to side with me http://en.wiktionary.org/wiki/Rhymes:English/%C3%A6n%C9%99), although it does rhyme with "banana" and "Urbana." Maybe the point is more (subject to further examples) that words with spellings ending in -ado and -ada form a strong (even if perhaps not exceptionless) pattern as to the penultimate vowel, whereas there are rival patterns for words ending in -ana, perhaps with both patterns being well-enough established so that there's no strong intuition as to which is default rule and which is exception. Although it may well be that there are non-arbitrary factors determining what words go in the rhymes-with-banana set versus which go in the rhymes-with-piranha set, with the question then becoming whether those criteria are sufficiently well embedded in the tacit knowledge of AmEng speakers that they are going to assign "Urbana" to the correct set on a better-than-chance basis if they just see it in writing and haven't heard it pronounced. Having now had occasion to look at wiktionary's list of rhymes I am intrigued to learn that the rhymes-with-banana set [supposedly?] includes Co. Fermanagh in Ulster, which I have frankly never known how to pronounce although one of my great-great-grandmothers was born there. A parallel problem in British English is how to pronounce 'Newcastle' (upon Tyne). For the most part, Southern English speakers say NEWcahs'l, while Northern English speakers say NEWcass'l. However, people from the city itself say NewCASS'l. If one knows this, should one adjust one's pronunciation accordingly? The difference in stress is a matter of local knowledge, but the difference in the vowel-sound reflects a general difference in regional pronunciations; as a Southern speaker I would normally have a long 'a' in 'castle', and it seems wrong to change that – one doesn't normally adjust general features of one's accent to fit local pronunciations. But if I do then take into account the local way of stressing the word, I end up saying NewCAHS'l, which is not a natural pronunciation for anyone. I agree, on second thought, that ‘cabana’, in American English, is more likely to have a short ‘a’ vowel, rhyming with the American pronunciation of ‘banana’. Anyway—maybe I’m underthinking all of this—but aren’t you overthinking it? It seems quite self-evident to me. The ‘-ana’ (etc) terminating words both of us have proffered—your “banana, bandana, Tarzana (in California) [and] Rosanna”, and my “Americana, Botwsana, iguana, Ghana…marijuana, nirvana, Tijuana, piranha”—came to be pronounced the way they are thru random circumstances; there’s no English pronunciation rule to invoke to explain it—that’s just the arbitrary way American English works. But, when someone unfamiliar with the place-name ‘Urbana’ first sees it in print, one pronounces it in one’s mind applying whatever ‘pronunciation rules’—valid or not—one has at one’s fingertips. For someone like myself, who has studied multiple Romance languages, it looks like at Latinate word. Therefore, the penultimate syllable should have an ‘ah’ sound. But for other Americans who haven’t studied such languages, it would more likely rhyme with ‘banana’. But if there is some formula with which to codify this ‘hot mess’, I’m all ears! And in Virginia it is Ur-ban-ah. Not bahn. I just discovered this blog. Have been reading for over an hour. Excellent. As a former resident, I get somewhat irritated when I hear someone pronounce "New Haven" with the stress on "New", rather than the native stress on "Ha". The only time a Newhavenite would stress the "New" is when they're contrasting it with a similarly named town, such as West Haven. How are the two pronunciations of Lancaster different? When I try to say either of them, I hear it exactly the same unless I enunciate each syllable, in which case, I suspect the difference goes away anyway. It's sort of like people claiming that Philadelphia is pronounced "flufffia" by the locals. Well, that's what happens when you say it quickly. On the other hand, Secaucus, NJ is pronounced with stress on the second syllable unless you are from there (no, not from NJ, not from greater NYC, Secaucus itself only) in which case the stress is on the first syllable.